Sadly, no one entered the March contest so no winner can be announced. And I made it so easy with green eggs and a mouse in the month that claims St. Patrick's Day and this year Easter. 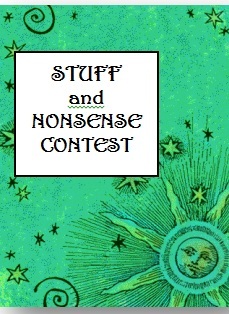 Get your writing groove on and see what you can do with April's words: fool and boots. Looking forward to reading your entries.